Did you know that people today are more likely to learn about your products and services through social media channels than any other advertising or promotional medium? Social media can help you build and strengthen relationships with clients and prospective clients, gain social proof for the quality of your products / services, and enjoy greater visibility in your local marketplace. A well-structured social media campaign can make your business and your brand recognized and visible online. 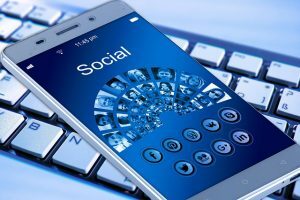 Companies that utilize social media marketing typically experience a much higher conversion rate and return on their advertising investment than companies that do not use social media. That’s why a growing number of businesses rely primarily on social media to promote and advertise their products and services. Successful social media campaigns are not a simple matter of sending out an occasional tweet or Facebook post. They require a plan of action to reach the audience that makes sense for your business on the social media platforms where they are most active. As you can see from the Houzz review above for one of my clients, an investment in creating and maintaining a robust online presence will help you attract ideal and profitable clients — but planning and managing an effective social media campaign also requires time, attention and effort to succeed. Herbst Marketing offers a range of social media marketing and management services to fit your budget. Whether you just need some initial guidance and an action plan created that you will implement yourself, or a Total Social Media Management Package with a complete done-for-you social media management service that includes reputation management, we can help. We can manage your social media presence to help you expand your online visibility and attract more perfect and profitable customers. You can choose from one of our standard social media marketing packages below, or request a custom quote that is tailored to your specific needs. Contact us today to request more information or schedule a social media marketing planning session.